But most of the time the desktop is hidden by other windows, so what is the use of a dynamic desktop? 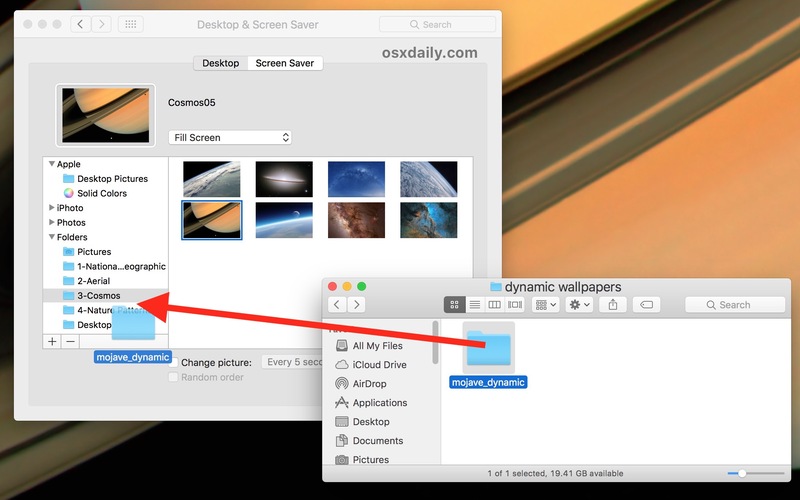 A changing wallpaper is purely a visual treat, for when you see the desktop itself. I like the feature and it looks pretty good, however my iMac and my MacBook Pro don’t seem to be in sync with similar desktop backgrounds. For example my iMac is showing one of the daytime desktop backgrounds but my MacBook Pro is showing nighttime desktop background. Not a big deal just curious as why the backgrounds are not the same. Still a nice feature though. That depends on which picture each computer started the cycle with. I’m sure it can be adjusted. The app Magic Window has been doing this for years. Ask them to make one of a desert if they don’t already have one. 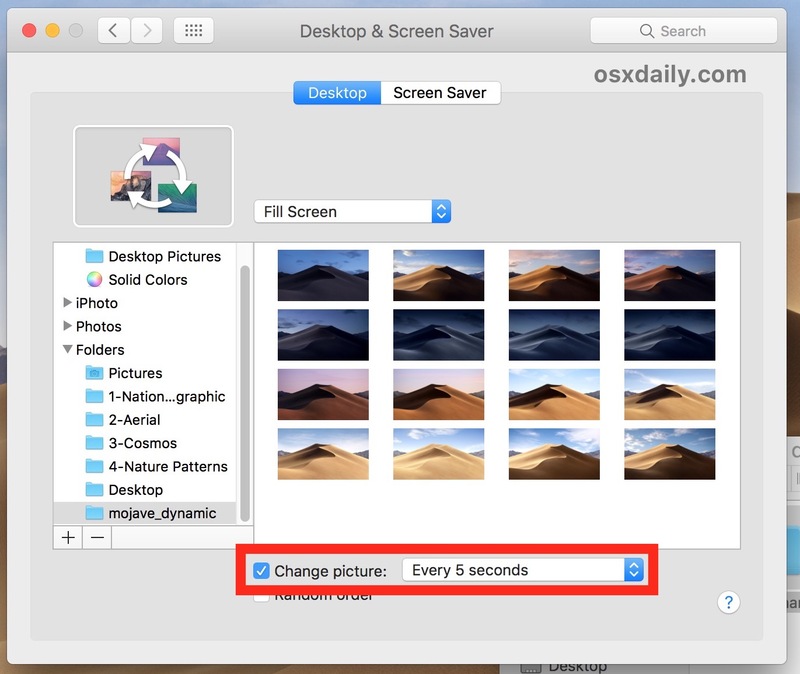 Followed the steps – How to Set an Animated GIF as Screen Saver on Mac OS. Now the ‘desktop saver’ picture of “shell” is on my screen and I cannot disable or delete it. Please advise. 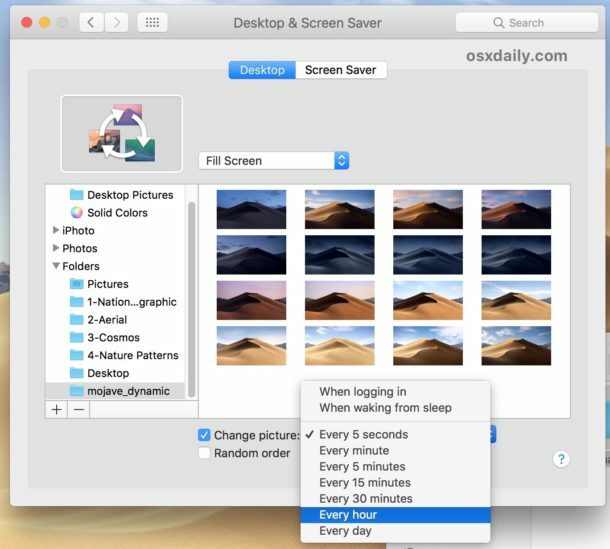 Just in case someone wonders, I tested this on my mid-2013 MacBook Air running high Sierra using the 16 image MacOS Mojave collection suggested in the example. However, by setting to change the pictures every 5 sec I noticed the pictures weren’t being changed in the proper order. Namely, the first image in the collection, number 1, was being skipped from the beginning and displayed between images 9 and 10 instead (so instead of rotating the 16 images in order, they were like 2,3,4,5,6,7,8,9,1,10,11,12,13,14,15,16 and then back to the beginning with number 2). It seems to be a bug caused by numbers 1 and 10, so all I did as a workaround was rename the first two image files in the collection as 2a and 2b instead of 1 and 2 respectively. 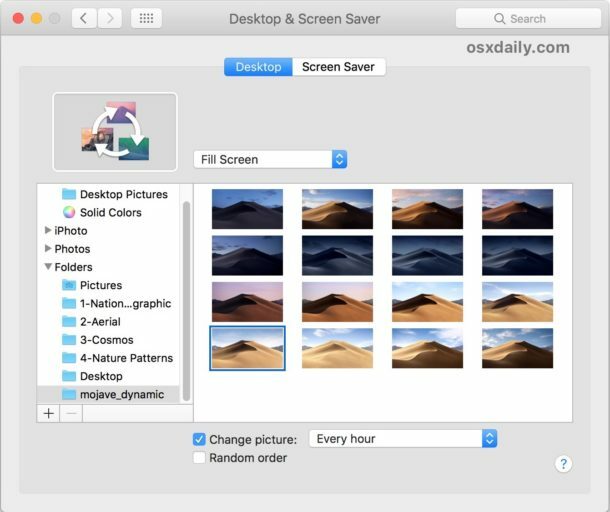 Now the 16 images are shown in the correct order and it does look like the macOS Mojave dynamic wallpaper. Incidentally, the same issue I describe here can be seen on the video shown in the article above. Thanks for the trick! I also discovered how to get the pictures to advance to your time when you start it.